When I was first training back in the late 80’s I assumed that to build bigger muscles I would have to constantly lift heavier and heavier weights. To a certain extent that is true, but there are ways to make a lighter weight “work” your muscles much harder than normal. The guy with the most impressive chest I have ever seen in person never benched more than 205 pounds. He told me that anything heavier “made his joints hurt”…so he used lighter weight to get the job done. 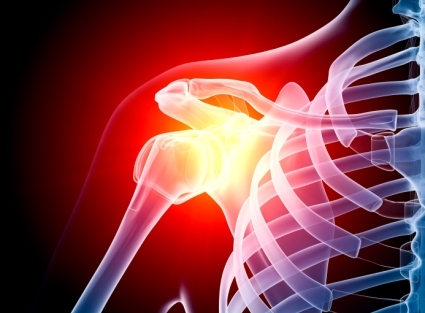 This past summer I got stronger than ever at chin ups and shoulder pressing, but my elbows began to hurt and I decided to mix in a 3-4 month period of light lifting to give my joints a much-needed break. I’ll outline what I’m doing. 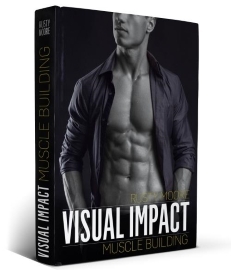 This isn’t news to anyone who has read my Visual Impact courses, but high reps are actually a great way to build muscle mass. Lifting in the 8-15 rep range increases fluid within the muscle cells (sarcoplasmic hypertrophy) and this causes quick muscle growth. I do recommend lower rep ranges as well to increase strength, density and definition…but lifting lighter works well for increasing the size of a muscle. I should probably rephrase that: I’m using as light of weight as I can while still fatiguing my muscles to the max in the 8-15 rep range. 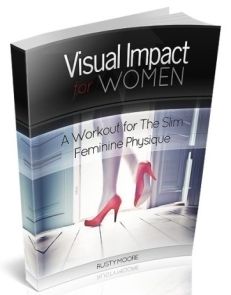 This is not quite the same as phase I of Visual Impact Muscle Building. I’m purposely going lighter than would be ideal for that phase. What they found was that more explosive movement didn’t create constant tension…the muscles got “a breather” (literally) and wouldn’t get the desired low oxygen fatigued state. I have been performing the reps at a slightly higher tempo, but not resting at the top or bottom of the movements at all. It has been working well, but I may switch it up and try the “3 seconds up and 3 seconds down” method my next workout. Thanks for the tip Christian! I don’t want to mess with your workout split. Keep doing the routine you are doing, but use this set and rep scheme. Chose a Weight That is About 50% of Your 1 Rep Max: I can bench press around 265-275 at this time, so for bench press I use 135 pounds. Aim for 15-20 Reps on Set #1: Lift REALLY close to failure. If you can do more than 20 reps the weight is too light. If you can do less than 15 it is too heavy. No Pausing at the Top or Bottom During the Reps: Do your best to avoid pausing. You want the muscle to fatigue with each rep “building upon” the previous rep.
Rest Only 45-60 Seconds Between Sets: Again…the idea is that you want to hit that muscle before it recovers from the previous set. Do 5 Sets Close to Failure: Typically you will be able to do less and less reps each set. Do your best to make sure that you don’t dip under 8 reps on that final set. Do 2-3 Exercises Per Muscle Group: When you are feeling a surge of energy and have more time, pick 3 exercises per muscle group (15 total sets). On days where time is limited or you feel worn down, then chose 2 exercises per muscle group (10 total sets). Guys who have been through phase 1 of my program have already gone through this, but it is humbling if it is your first time lifting like this. On your second exercise, there is a good chance that you won’t even be able to use 50% of your one rep max. For instance, after doing my 5 sets of bench with 135 pounds my chest is smoked! I typically will use only 35-40 for my dumbbell incline press right after that. It feels light in my hands, but I can’t push much past 15 reps no matter how hard I try. It’s an odd feeling. Easy on the Joints, But Not On the Muscles! This type of training burns when you do it. Your joints will feel fine and improve week-to-week as you do this, but your muscles will feel sore on a regular basis. You should notice that your muscles look fuller than normal due to sarcoplasmic hypertrophy. Lift heavy, use low reps, avoid failure, avoid fatigue, less sets, rest a decent amount in between sets, pause in between reps, etc. Nice post. I’m almost right on point with this workout as opposed to the heavy lower rep to failure workout (in my younger days when I didn’t get sore just sitting on the couch). Oddly enough, as I grew older and my body began to be more easily prone to injury I naturally transitioned to higher reps and lighter weights. It works great for me. I workout less now than I did when I was 20 and I feel like I stay just as toned and in shape. Damn! 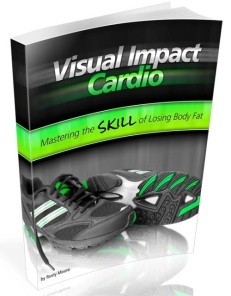 Gave it a shot with bicep curls using 20’s & on the 5th set I couldn’t get past 5 reps…. Muscles feel sore as hell ever since (been 5 days). You know I tried this with the bench press and I’m not happy with the results…though it did work in the since of what was posted. I didn’t like my end result…4 in the last set, and barely made it through the 4th set. Thank god for the spot or that would of been a moment of the roll of shame in the gym. Great post by the way. need and no more. Figuring out how much protein you should be eating can be tricky. is there any need of suppliments with this?? Great post Rusty. I find I get this issue in my knees as I continue to increase the weight on squats, but I find a strong warm up tends to help eliminate a lot of the joint issues. I’m now not certain whether this post is written by way of him as no one else recognise such distinct about my problem. You are wonderful! Thank you! Previous post: One Exercise Per Muscle Group? Next post: Avoiding the Sun to Avoid Skin Cancer? Recent Studies Challenge That Advice.